Mayor Meg Kelly – There’s a ‘new sheriff in town, Mayor Meg Kelly. 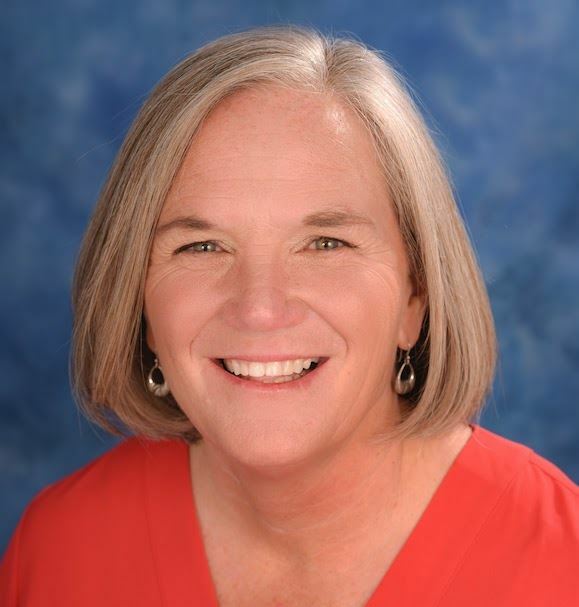 Born and raised in Saratoga, Mayor Kelly worked for 17 years as an LPGA pro golfer, as Executive Director of Saratoga’s Children’s Theatre and, more recently, as Deputy Mayor under Camp David friend, former Mayor Joanne Yepsen. A can-do executive, Mayor Kelly knows how to succeed in the business of government by bringing disparate parties together. What she really understands is community and getting things done. Mayor Kelly welcomes our group to Saratoga. Curtis Ellis – On the other side of the aisle, there’s Curt Ellis. Former Trump Campaign Senior Advisor and special advisor to the Secretary of Labor in the Trump-Pence transition team, Ellis is an expert on free trade and economic growth. With decades of experience as reporter, writer, producer and communications expert, Ellis has produced stories for NPR, NBC, HBO, CBS’60 Minutes and written for publications including the Financial Times, TIME Magazine and many others. You’ll find Ellis, these days, primarily traveling with Vice President Michael Pence… or at Camp David. Davia Temin – Writer, speaker and Board advisor, Davia Temin is one of the deans of reputation/risk/crisis strategic communications. Through her “Reputation Matters” column in Forbes.com, contributions to the Huffington Post and American Banker, among other publications, and her work with many of America’s leading companies and Boards, Ms. Temin has guided many-a-company through many-a-crisis and will share some of her best strategies and tactics for effective corporate communications with us at Camp David. Andrew Mellen – “The Most Organized Man in America,” and Oprah’s favorite organizer, teaches us some of the best lessons from his research, writings, and teachings including from his own curriculum at “UnStuff U.” Ways to simplify our lives. Ways to implement ‘mindfulness’ in the office. Ways to get more done, better, faster and with less anxiety. (And, by the way, a great way to remember every password you’ll ever use). Deborah Hicks Midanek – Author of “The Governance Revolution: What Every Board Member Needs to Know,” Principal of Prevail Investments, Bryn Mawr / Wharton, trusted advisor/Director to The Biltmore Companies and many others, Trustee of Washington’s Committee For Economic Development, and all-around super-smart strategic financial advisor, Ms. Midanek is also personally re-developing and re-making the “sleepy” town of Grenada Mississippi. Chet Opalka – As Chet says, “When we started out, it was like an episode of ‘Breaking Bad.’” By that he means his co-founding and leadership of Albany Molecular Research and his inventions and patents incl. one that led to Inocor, the first of a novel class of drugs used to treat congestive heart failure; the popular allergy medicine Allegra; and many others. And, AMRI’s ultimate sale to Carlyle Group and GTCR. Chet’s our kind of business-and-broader leader: a major success in his “day job” and, much more, a supporter of education, economic growth, scientific innovation and all-things-community through his and his wife, Karen’s, investment and action. The Opalkas led, among other things, the renaissance of Caffe Lena, the site of our 20th Welcome Reception. 3 hours from NYC and Boston, 30 minutes from Albany Airport, and a historic Victorian-small-town world-away from anywhere you’ve been. Thursday Welcome Reception at Saratoga’s own Caffé Lena, the oldest continuously operating folk music venue in the US and “an American Treasure.” Since 1960, Caffé Lena and its long-time matriarch, Lena Spencer, launched and showcased the talents of many of America’s best loved songwriters including Bob Dylan, Arlo Guthrie, David Bromberg and Don McLean. Great music, food, drink and camaraderie (and Caffe Lena’s legendary chocolate chip cookies!) to kick off this year’s special 20th anniversary Saratoga Weekend. Secure your Saratoga Weekend credentials and registration materials. Enjoy informal dining and a late-night meet-up in downtown Saratoga. Saratoga Mayor Meg Kelly welcomes our guests. Friday a.m. sessions are business casual. In 2012, Death Wish Coffee – brewed to be strong and delicious — started in a small coffee shop in Saratoga Springs. In 2015, the little super-brew won Intuit’s “Small Business Big Game” competition, and a 30-second Super Bowl commercial! The company took-off like a rocketship (traveling to the International Space Station this past June to fuel the crew of NASA Expedition 56, and to the dangerous adventures of television’s “Ice Road Truckers” and beyond). As they say, the rest is history. The Death Wish Coffee brand has become a global phenomenon. 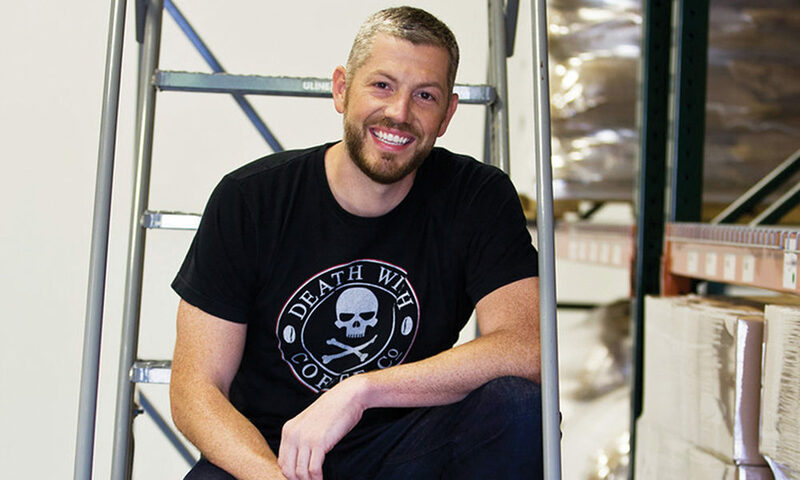 Hear from Death Wish founder/CEO Mike Brown on the makings of one of America’s most successful consumer products companies, managing hyper-growth and doing good at the same time. Good governance is about value-additive corporate stewardship. For both public and private companies. Good Boards do much more than serve as “fiduciaries” for shareholders. They help companies, their owners, and their C-suite executives plan, hire, fire, question, assess and address risk, and make the bet-the-company decisions. Join our August panel of governance experts and practitioners as they recount some of their best — and worst – experiences in corporate governance. Mingle, marvel at the setting, and make room for more ideas. Whatever became of folks like Walter Cronkite, “the most trusted newsman in America?” How has journalism changed? Why? Are news organizations too opinionated? Too ratings focused? What is‘fake news?’ Does all media, inevitably, have a point-of-view? We’re honored to be joined in discussion with Foreign Press Association president, David Michaels, and a panel of distinguished journalists from the New York Times, The Wall Street Journal and other leading news organizations. Great family businesses, and the wealth that they can create, often give rise to “family offices.” Some are perfectly functional. Attending to family wealth management, administration of trusts, family taxes, etc. And others are impactful enterprises in their own right, increasingly focused on their own social and cultural missions. And, increasingly, on making direct investments in private companies. Hear from our esteemed group of family office members, execs and professionals on all-things-family-office. Dubbed “the most organized man in America,” Andrew Mellen is an organizer’s organizer, and has been featured in O, the Oprah magazine, on HGTV, DIY and NPR. Through years of studying, coaching and working with many of the highest-performing executives, individuals and teams in the world, Andrew has created unique, lasting techniques for streamlined living, eliminating the “stuff behind the stuff” that’s holding us back. Enjoy a few hours of downtime in Saratoga Springs. Stroll Broadway. Visit Saratoga Lake. See Saratoga Battlefield. Visit the National Museums of Racing or Dance. Or, just catch some “rays” at the Victoria pool. But, return to your hotel room in time to clean-up for this year’s evening at at the Saratoga Polo Club! Informal out-and-about in Saratoga with other guests. Or, get some rest before your Day at the Races. Sleep-in if you’d like. Breakfast on your own. Pick-up some Death Wish Coffee at Saratoga Coffee Traders (the “unknown” company that won a free ad on 2016’s Superbowl – see it on YouTube) or breakfast with fellow Campers at Compton’s, Ravenous, Saratoga Juice Bar, or Max London’s. Arrive at Saratoga Race Course by noon. 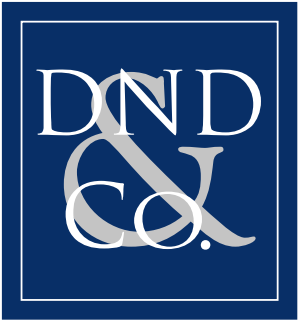 The 139th running of The Alabama Stakes (the longest running stakes race for 3-yr-old fillies in the U.S.) at Saratoga Race Course and the Annual Running of The David N. Deutsch & Company. Our Day at the Races is The Saratoga Weekend’s end-cap. A great way to say hello again, and goodbye, to those you’ve met at Camp David. Super seats, clubhouse admission and David’s handicapping tips (he was a pari-mutuel clerk growing up in Saratoga): study the Daily Racing Form or pick the entry with most compelling name. Dress is racetrack casual. See you in the Winners Circle! Travel home after another memorable Saratoga Weekend.